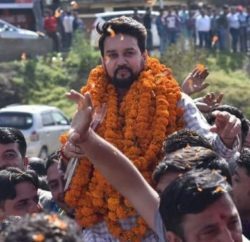 Hamirpur MP and Bharatiya Janata Yuva Morcha (BJYM) President Anurag Thakur had demanded Prime Minister Dr. Manmohan Singh and Defence Minister A.K. Antony’s resignations for not able to give a befitting reply to Islamabad’ following the killing of five Indian soldiers on the Line of Control in Jammu and Kashmir by Pakistani troops. I would like to ask Sonia Gandhi and Manmohan Singh whether this government will remain a silent spectator. Will we not give a befitting reply if five of our soldiers are killed? BJYM national president also questioned the government’s competence in dealing with matters on the boundary. 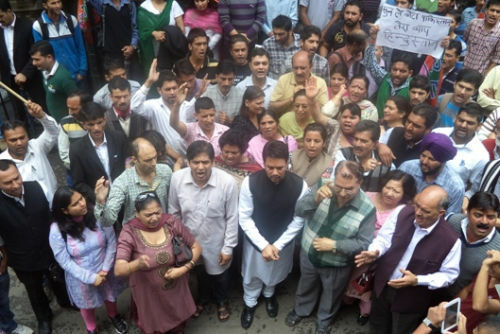 Earlier today BJYM state activists staged a protest in state capital, where he was also accompanied by state party leaders Suresh Bhardwaj, local MLA, Ganesh Dutt, Sunil Thakur and hundred others. 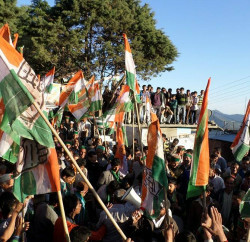 The BJP youth wing activists raised anti-Pakistan slogans during their protests. Yesterday evening as well BJYM activists protested outside Defence Minister A.K. Antony’s residence and demanded his resignation if he failed to take any strong action against those who were behind it. The police personnel deployed outside the Defence Minister’s residence later used water cannons to disperse the protestors who attempted to break the barricades outside the Defence Minister’s residence. Defence Minister A.K. 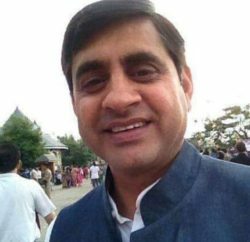 Antony and many other Congress leaders have strongly condemned Pakistan’s firing on the Indian side of the Line of Control (LoC) in the Poonch sector of Jammu and Kashmir.